Can I Design My Own Custom Ring? Custom-design gives you the opportunity to bring your vision to life, creating a one-of-a-kind, heirloom-quality ring that you and future generations will treasure for years to come. If you’ve never considered designing a ring to your personal specifications, maybe it’s because you assumed it would be a daunting and complicated process. 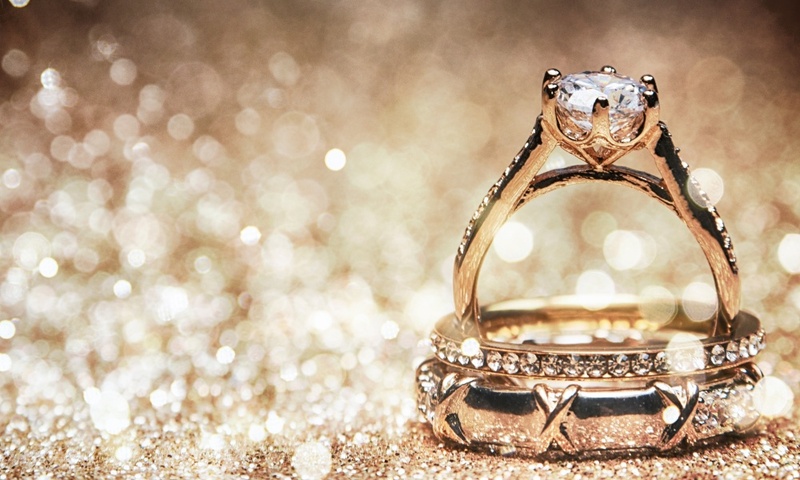 Although custom ring design may sound intimidating, the professionals at Dominion Jewelers—a leading custom jeweler in Falls Church, Virginia—have the knowledge and experience to guide you in designing a ring that is uniquely yours. With your ideas and our expertise, you will see just how easy it is to create something beautiful, timeless, and perfectly you. Dominion Jewelers in, unlike other ‘custom’ jewelry stores that offer their customers a limited selection of mass-produced, commercial-quality rings. Why narrow your choices to the same ready-made styles that you will find in every store in the mall? The master jewelers at Dominion have decades of experience and the skill to craft even the most meticulously detailed designs, using only the highest quality diamonds, gemstones, and precious metals. The first step in the custom design process is to meet with one of our jewelry professionals for a one-on-one consultation. Perhaps you have a few photographs or drawings of designs that are inspiring you, or simply a rough concept of what you’d like. Whatever your idea may be, our talented designers will partner with you to bring it to life. Your personal design consultant will help you consider a myriad of options—everything from gemstone and precious metal choices, to setting styles that reflect your individuality, to minute finishing details such as personalized engraving and delicate milgrain. Then, using state-of-the-art computer-aided design technology, we will create a digital sketch, where a skilled CAD artist will capture and perfect even the smallest detail. This sketch will be used to create a three-dimensional wax model of your ring, which you will inspect before the ring is ultimately cast in the precious metal of your choice. Why Should I Consider a Custom-Designed Ring? Our clients are often surprised at how enjoyable and rewarding it is to custom design their rings. If you want the most significant and meaningful piece of jewelry you will likely ever own to be unique and personal—and different from anything you’ll find elsewhere—then you should definitely explore the custom process. Whether you’re interested in designing a one-of-a-kind engagement ring, a special gift, or a signature piece that defines your everyday style, our unrivaled team of designers and artisans are ready to help you realize your vision. To learn more about the custom design process at Dominion Jewelers, we invite you to call for an appointment or visit our beautiful showroom today.